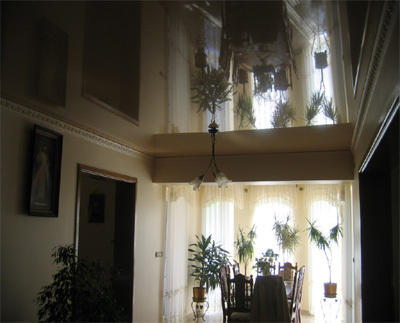 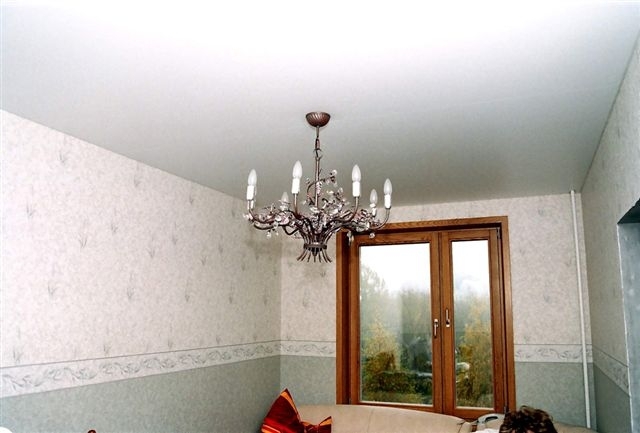 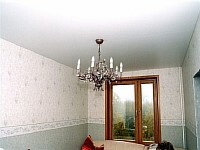 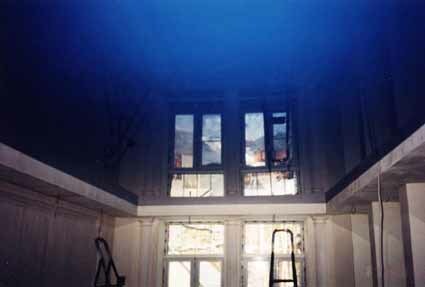 Your attention is 170 pictures suspended ceilings in the living room. 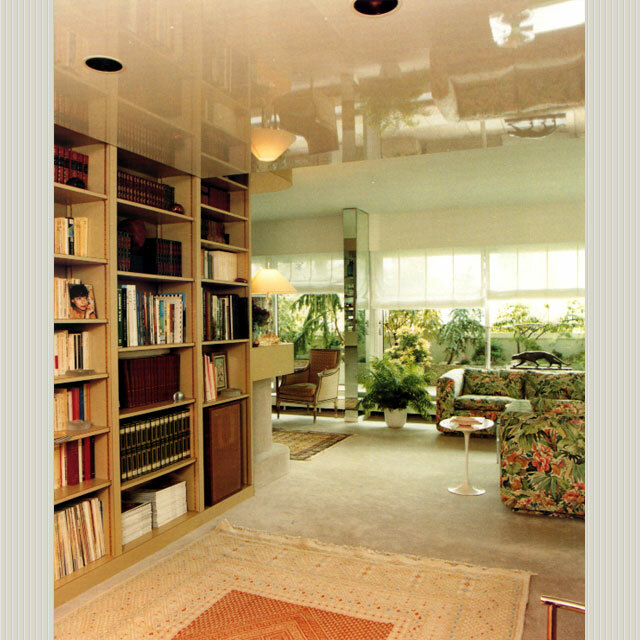 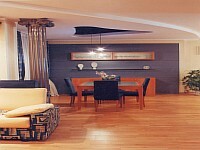 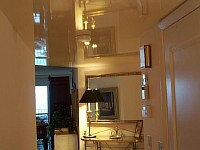 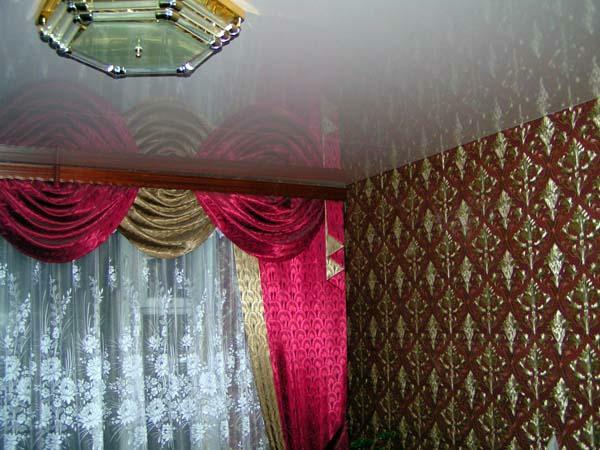 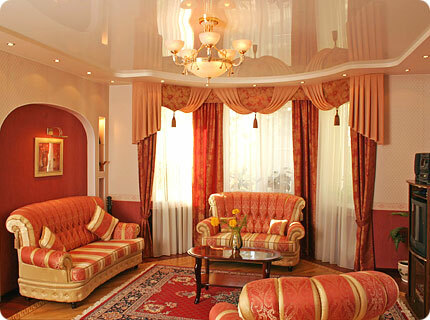 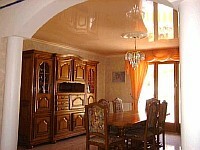 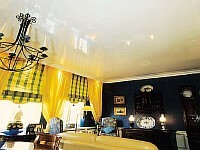 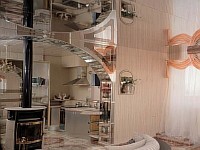 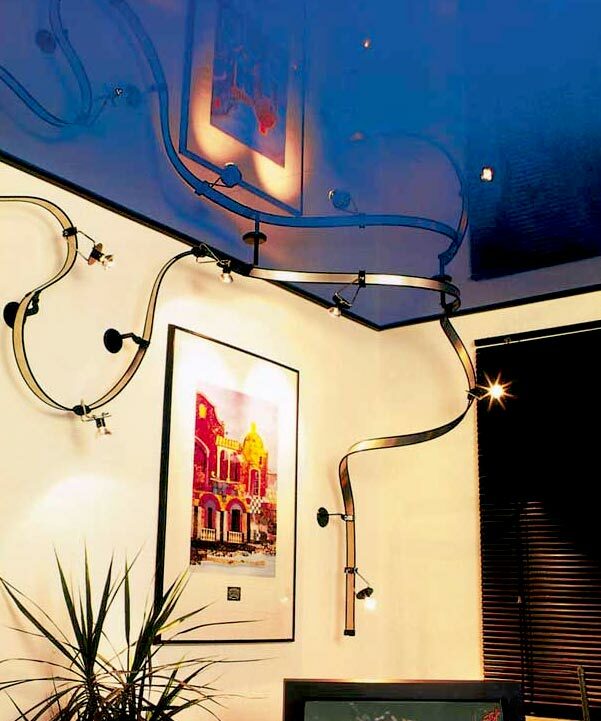 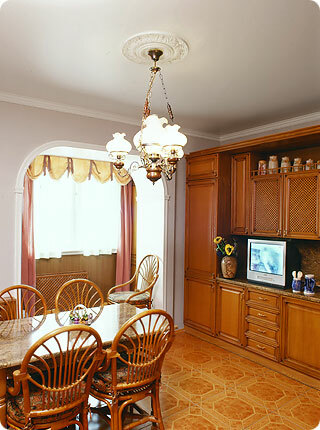 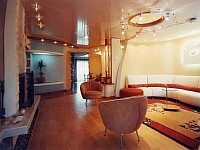 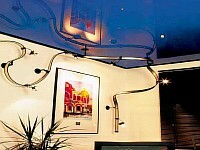 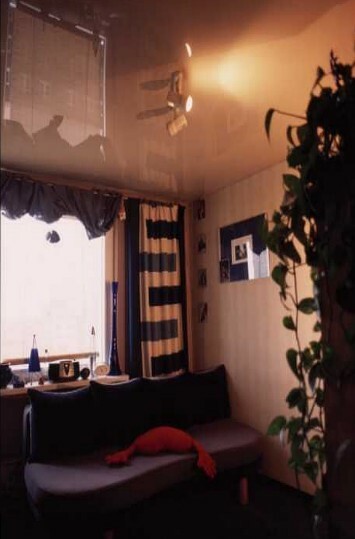 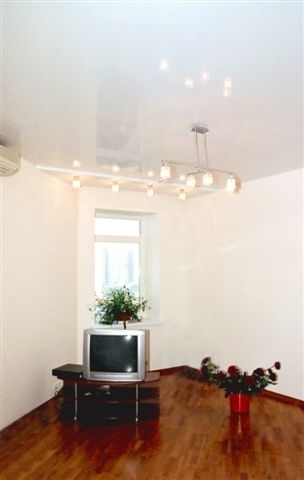 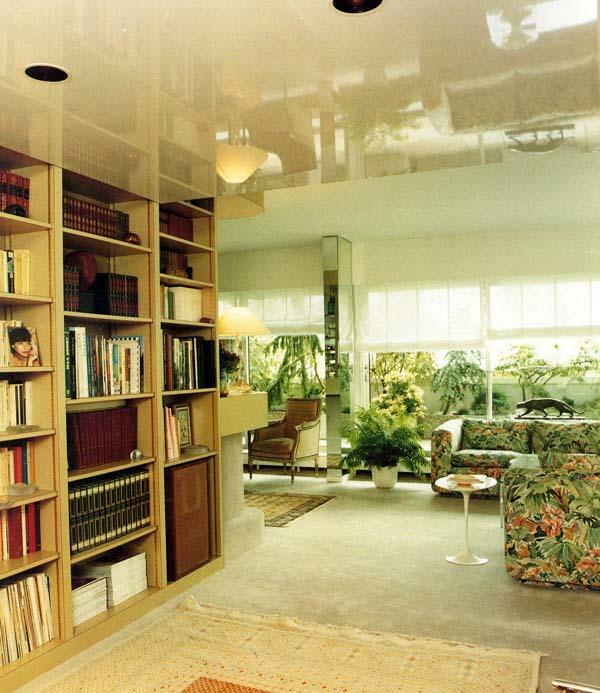 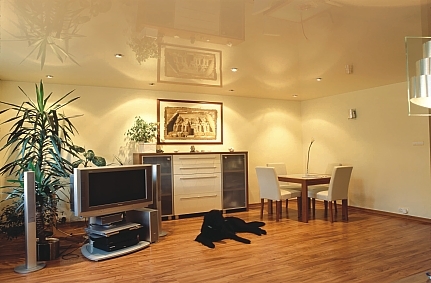 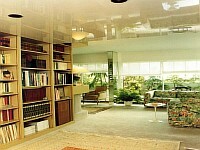 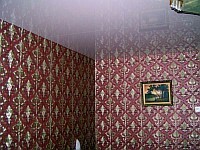 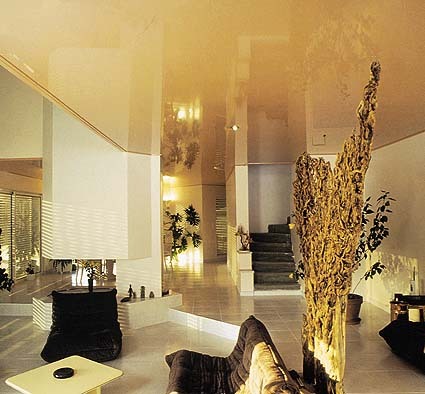 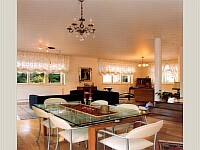 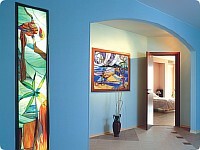 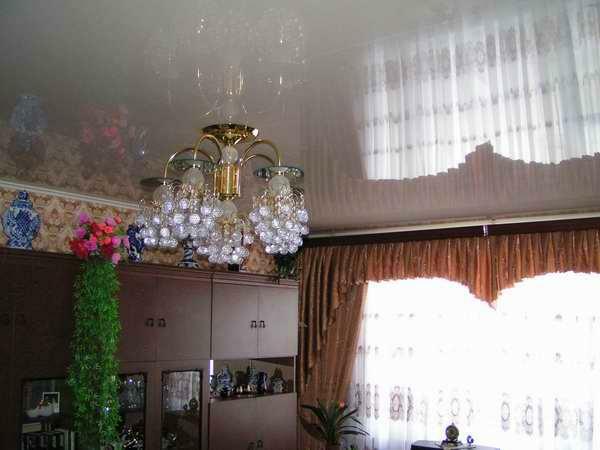 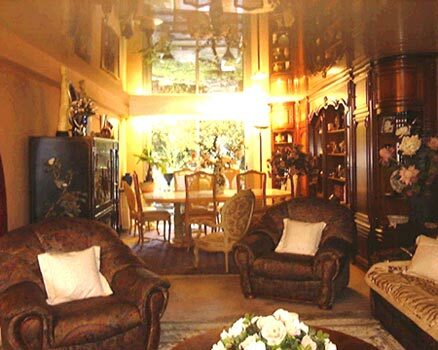 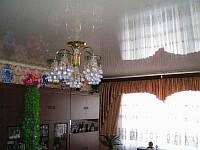 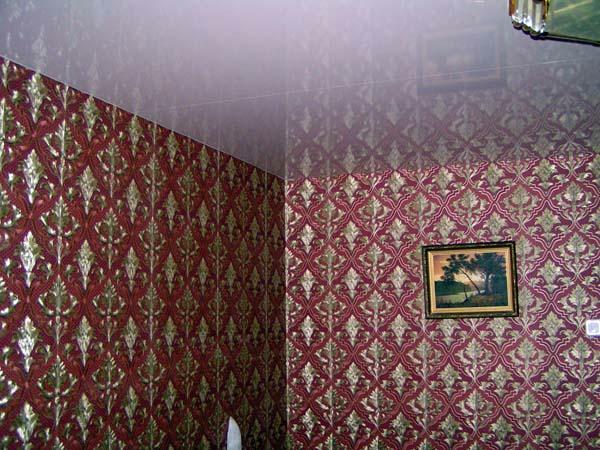 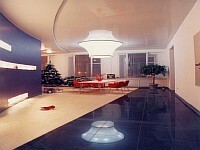 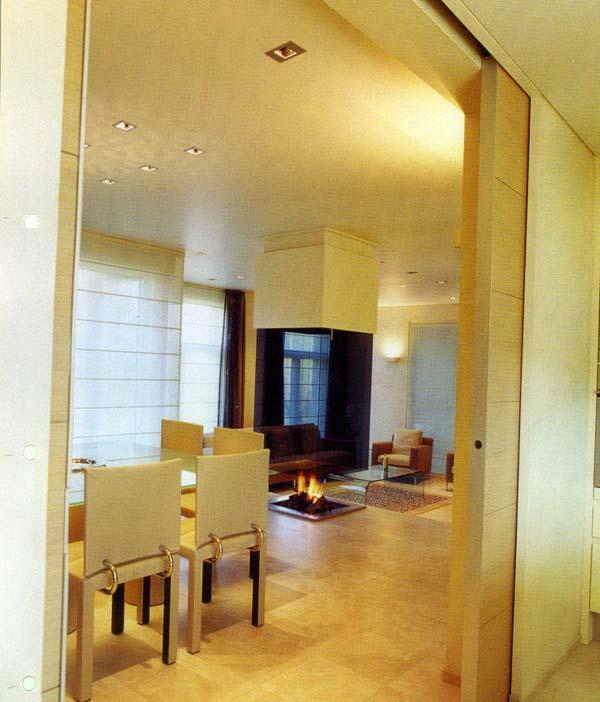 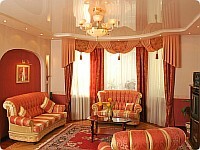 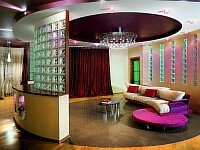 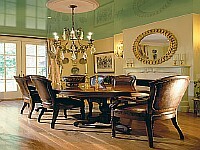 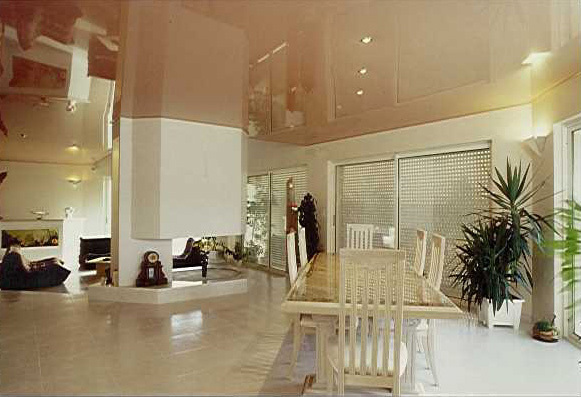 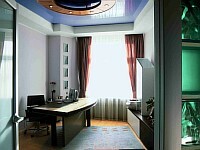 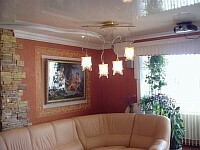 It picked up a variety of interior designs living room. 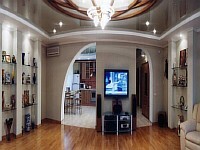 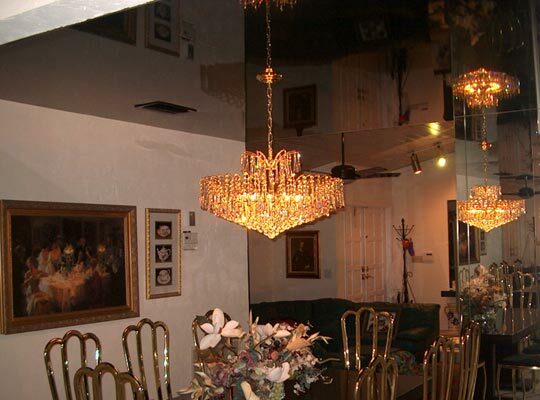 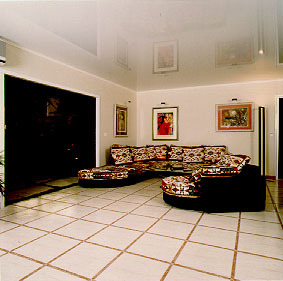 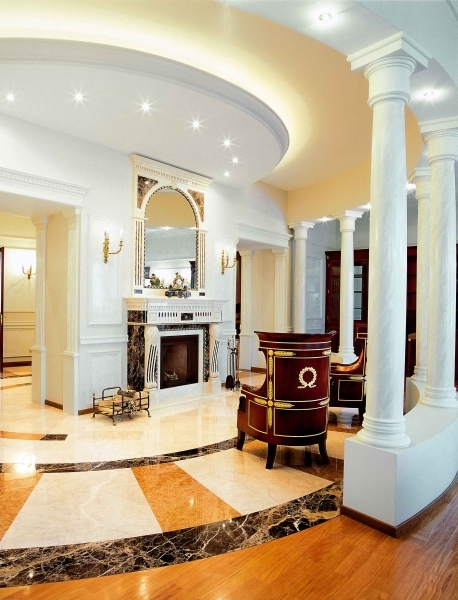 There are living rooms in homes and in apartments. 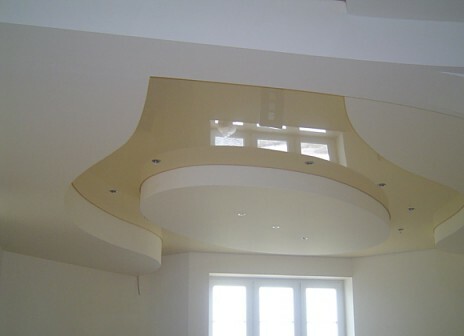 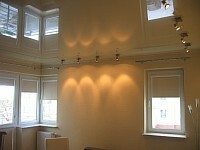 Suspended ceiling in the living room looks good as matte and varnish (gloss). 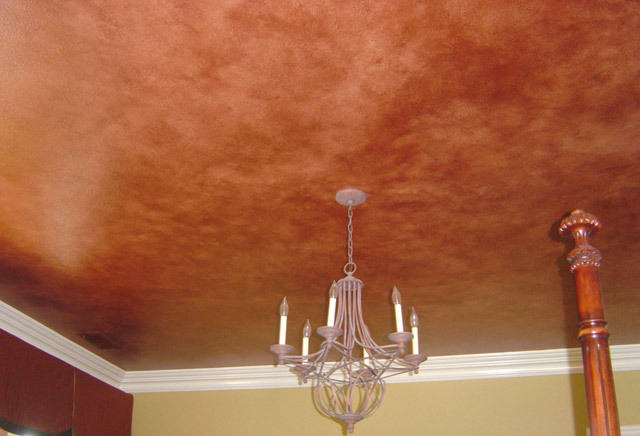 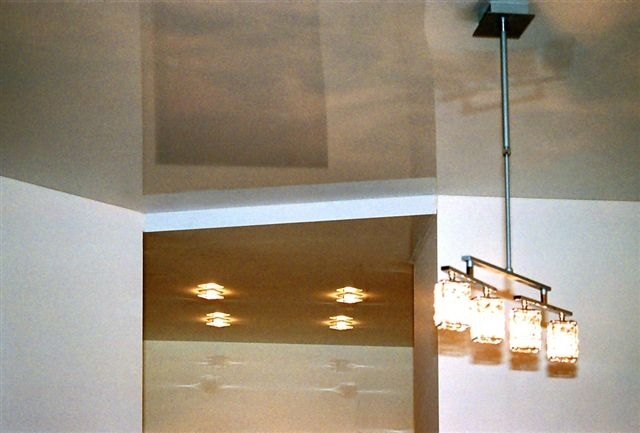 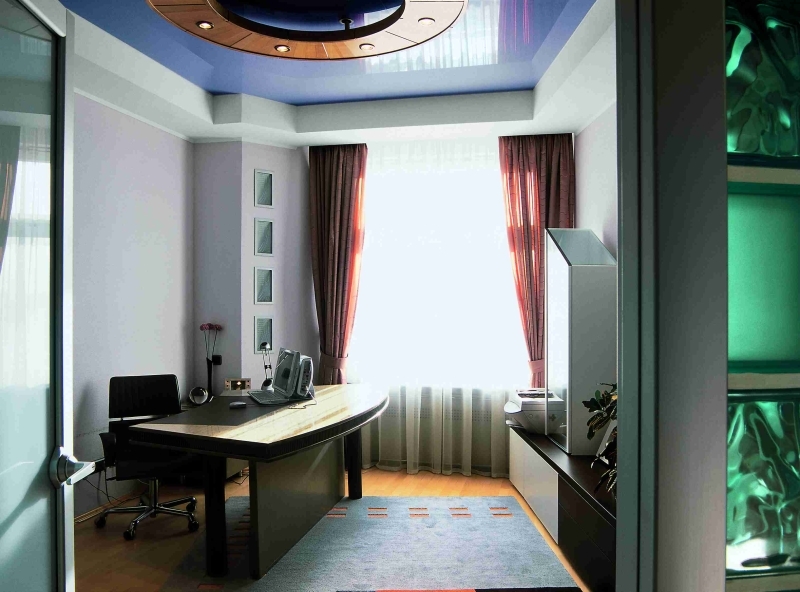 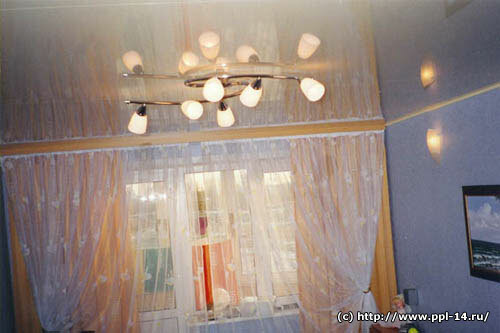 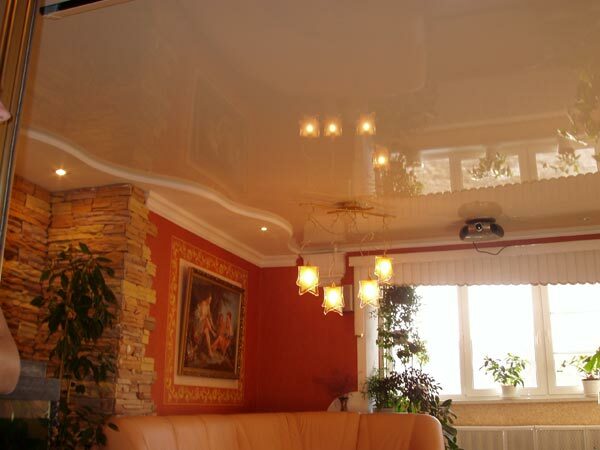 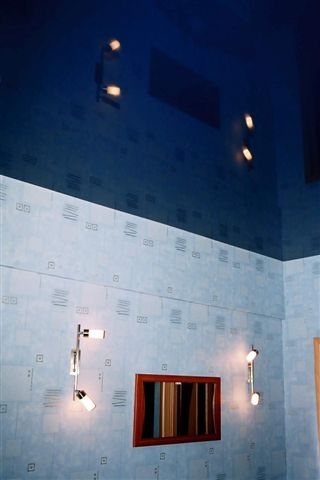 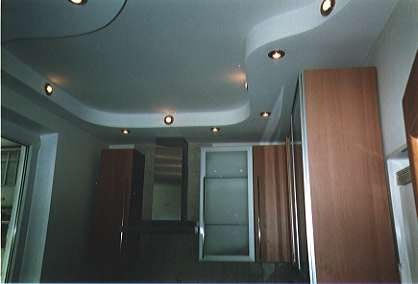 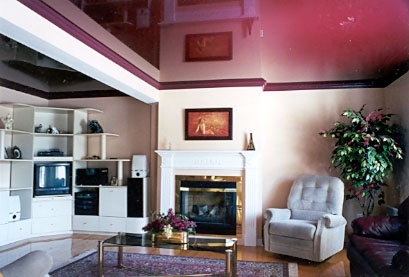 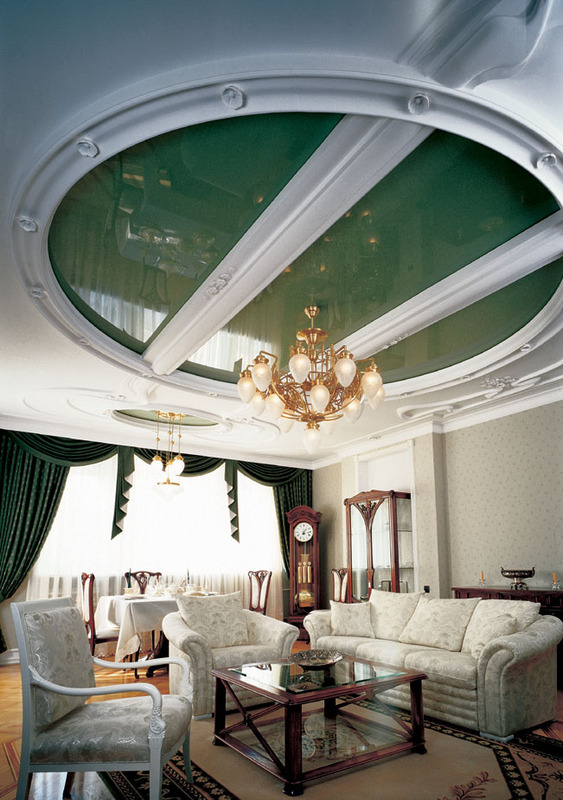 If you decide to put a suspended ceiling in the living room, then these photos will help you with a choice of colors, textures and forms of stretch ceiling. 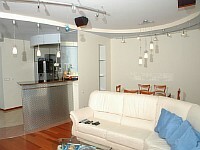 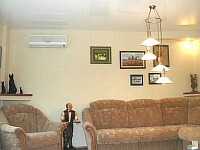 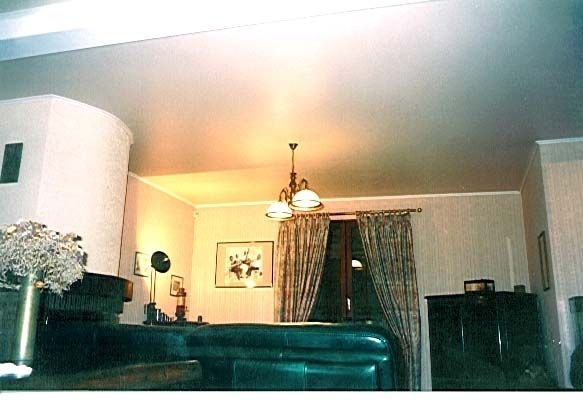 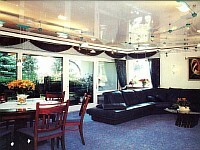 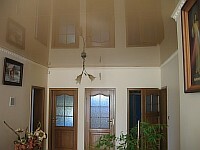 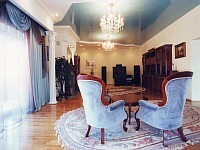 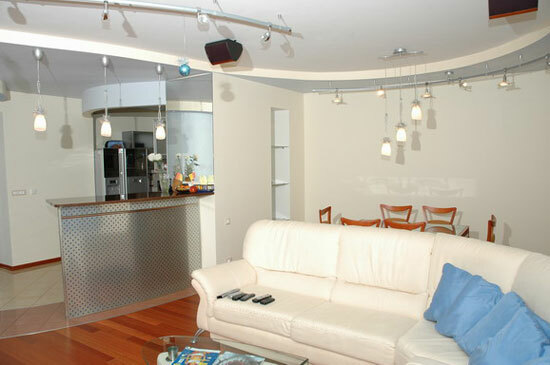 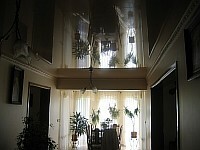 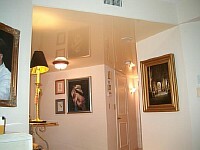 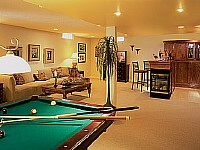 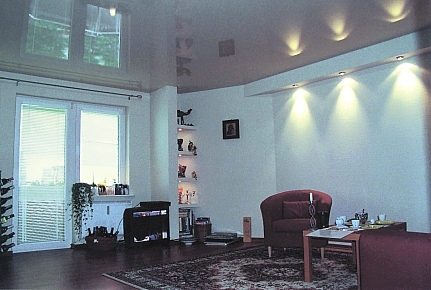 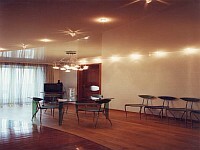 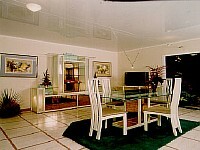 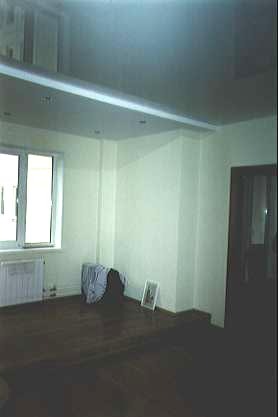 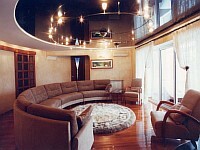 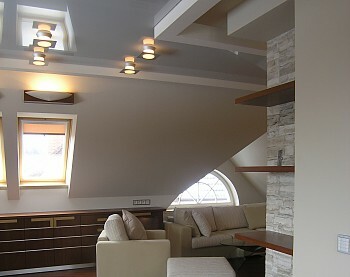 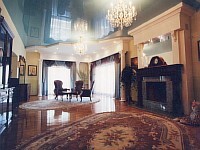 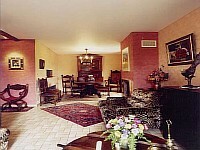 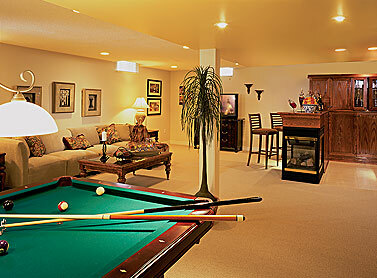 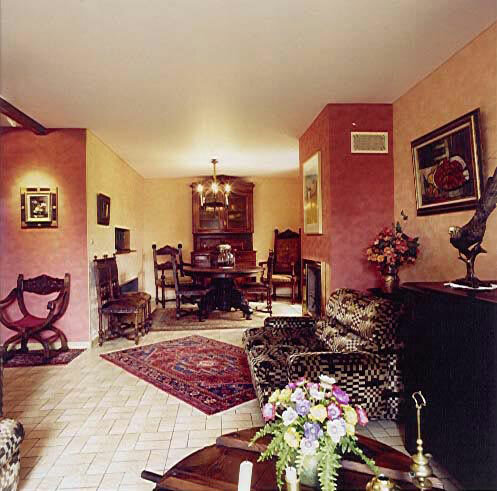 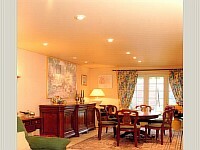 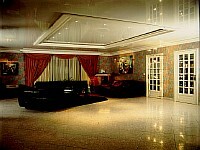 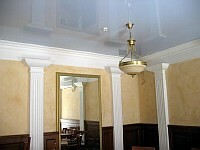 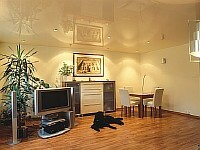 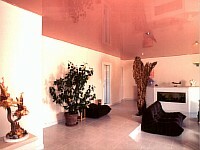 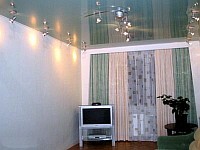 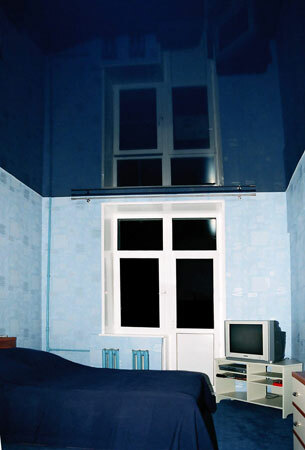 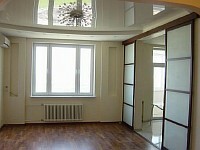 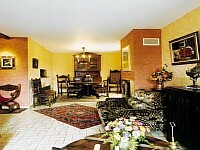 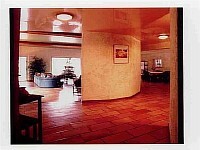 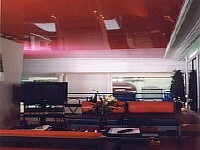 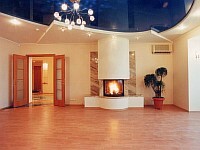 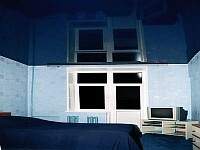 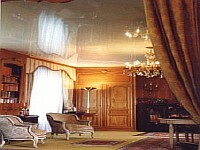 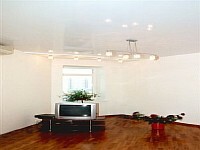 Living room - this is the place in an apartment or house, where we spend the maximum amount of time. 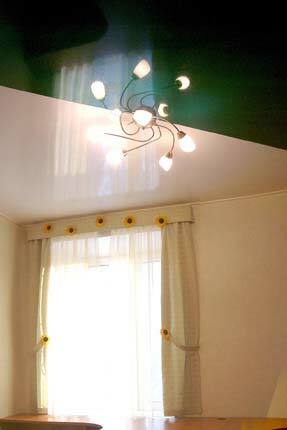 Here we can and to drink tea, eat, watch TV, read a newspaper, sit with friends or relatives. 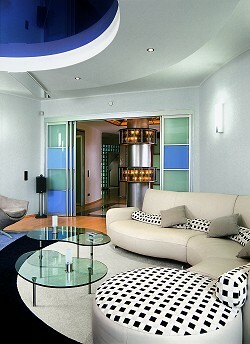 Living room should be as welcoming. 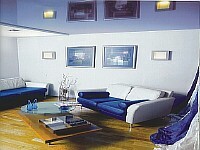 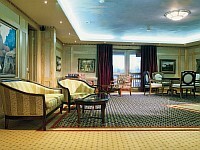 Here we have a rest from the hustle and bustle, there should be peace and quiet. 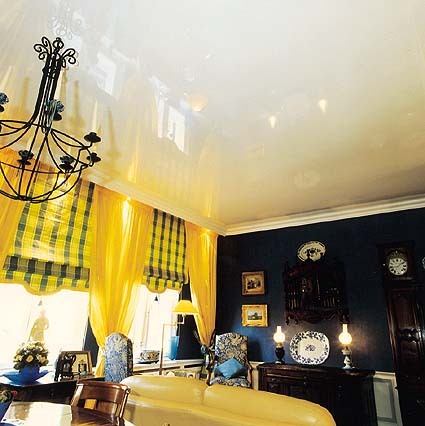 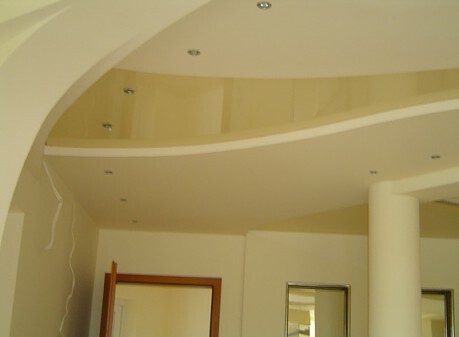 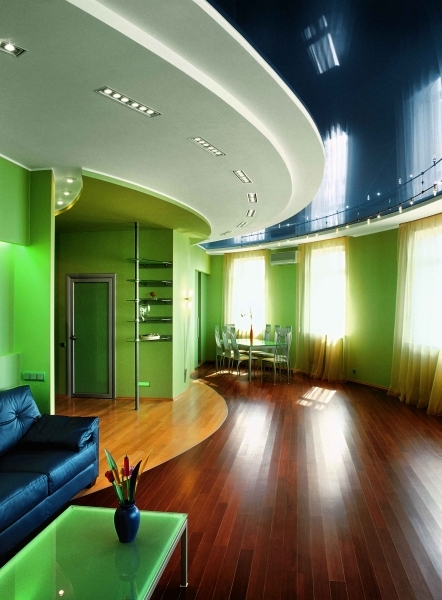 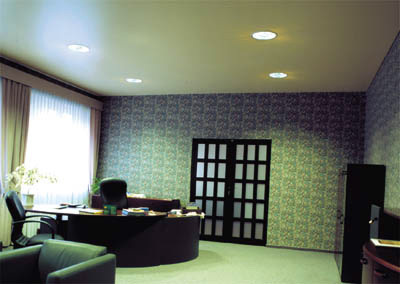 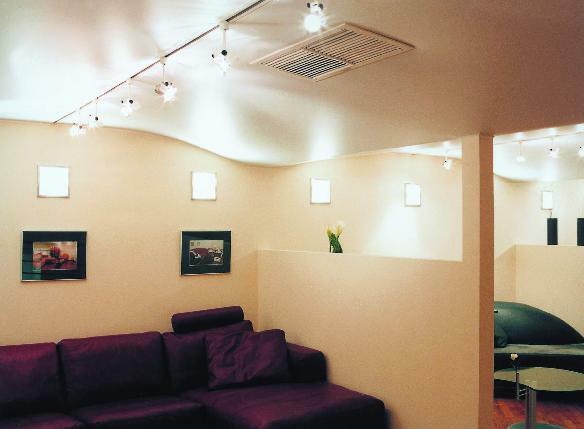 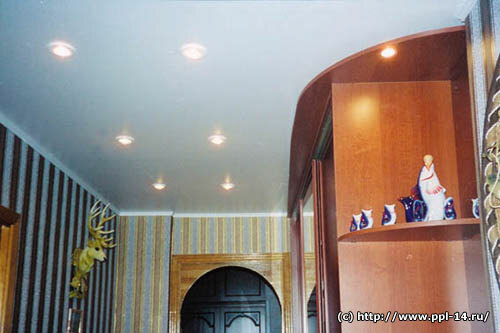 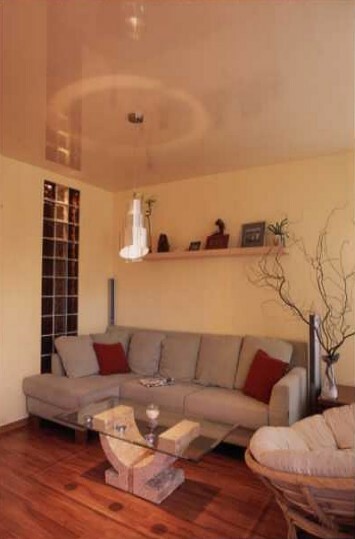 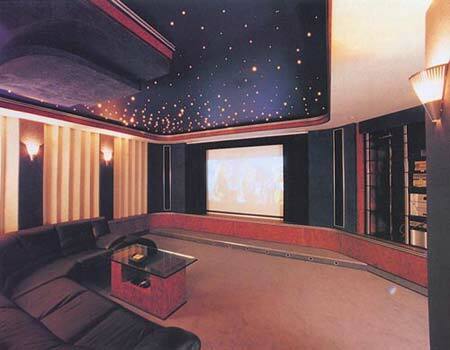 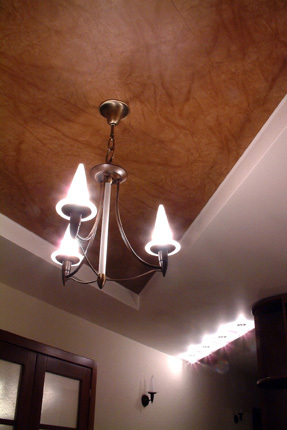 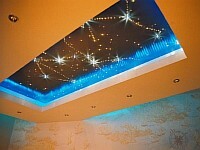 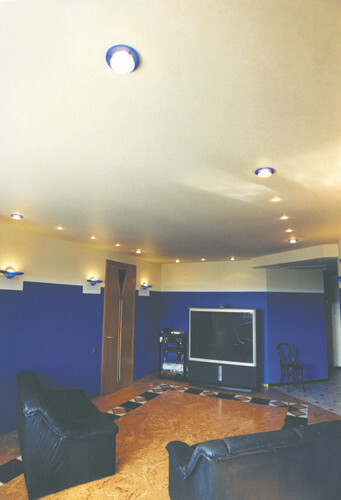 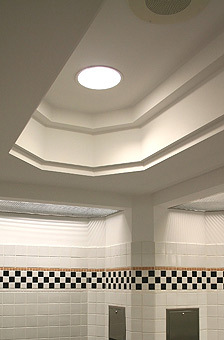 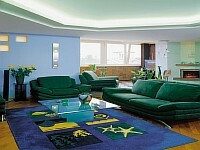 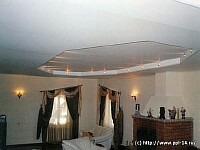 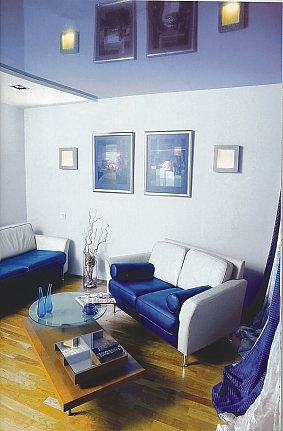 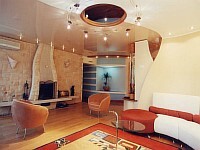 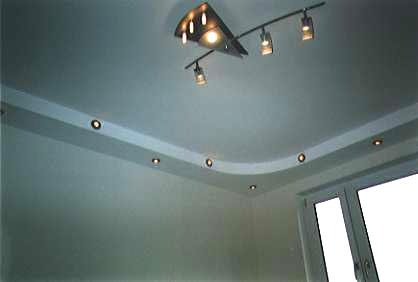 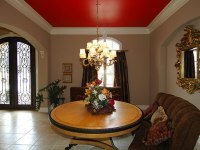 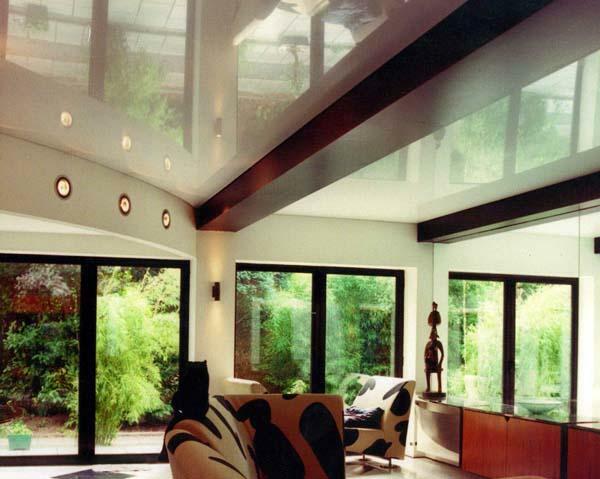 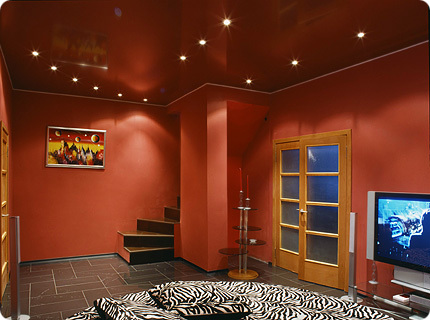 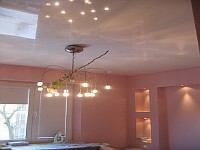 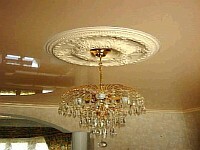 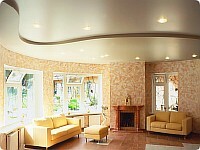 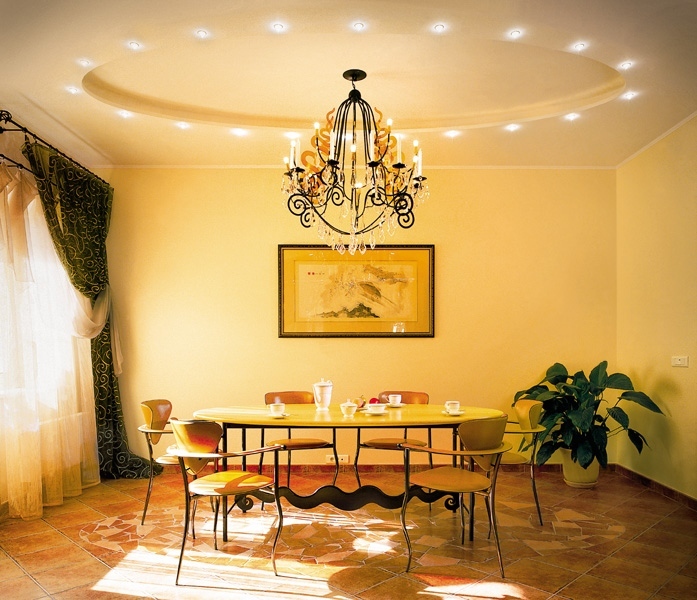 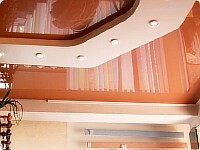 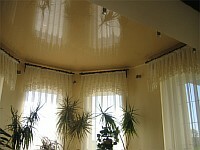 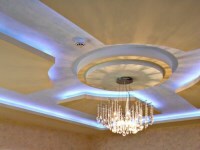 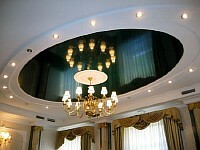 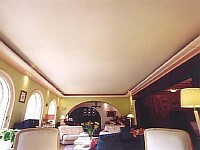 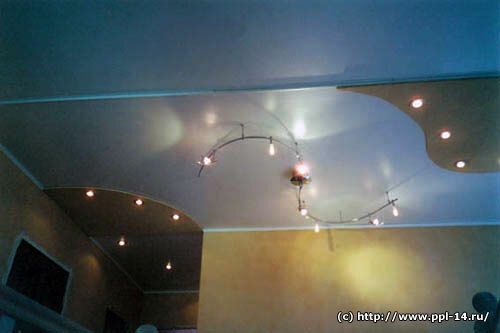 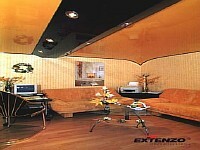 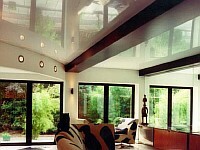 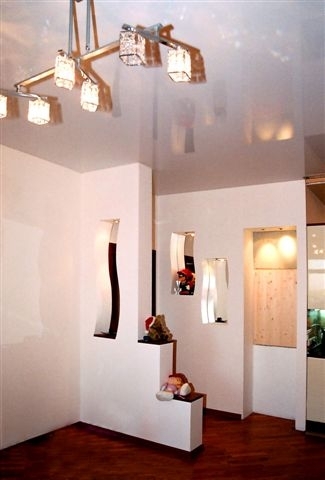 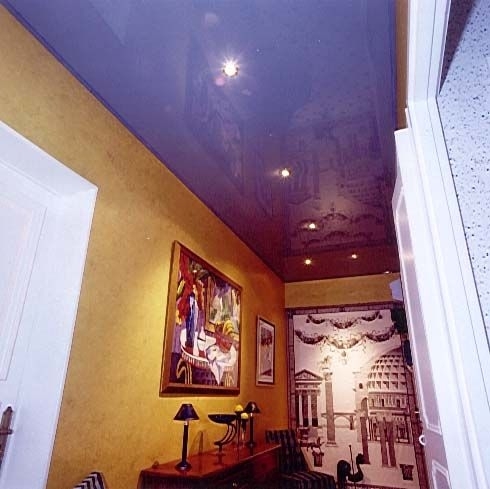 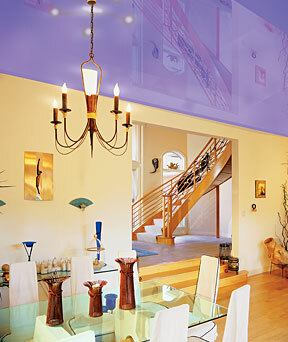 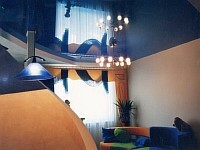 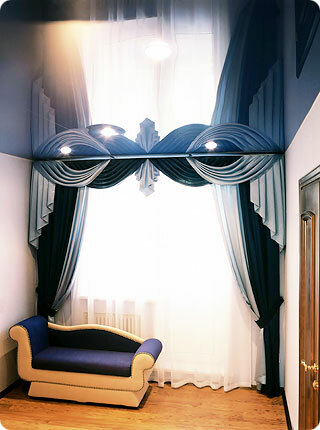 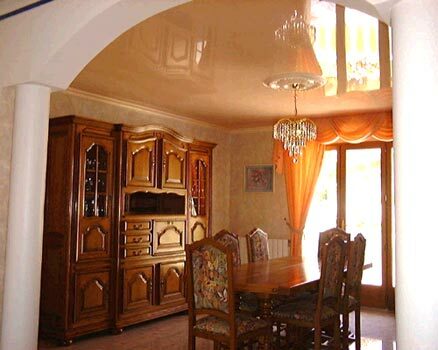 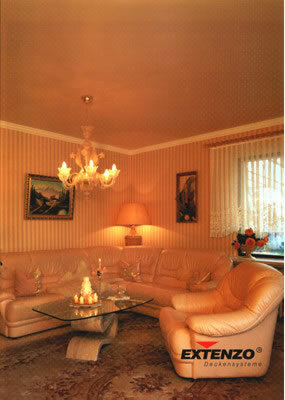 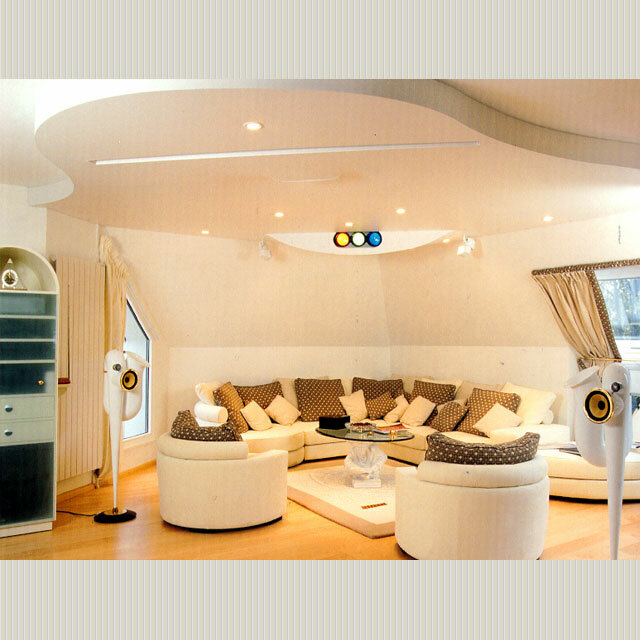 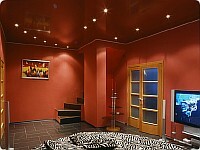 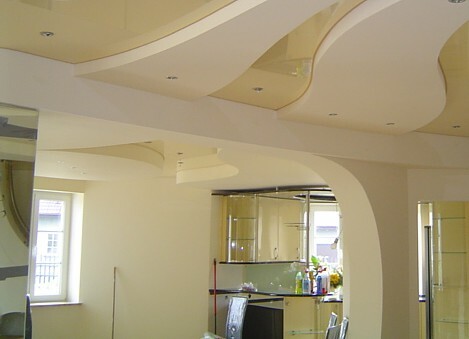 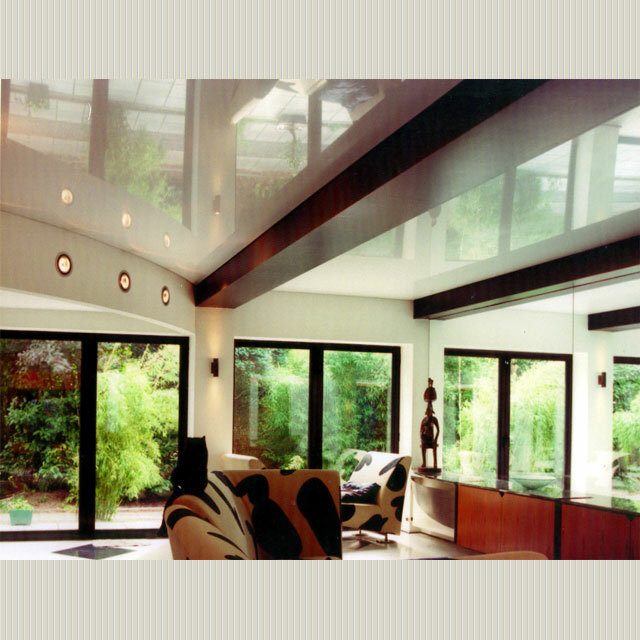 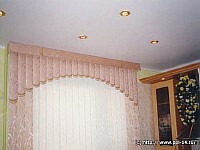 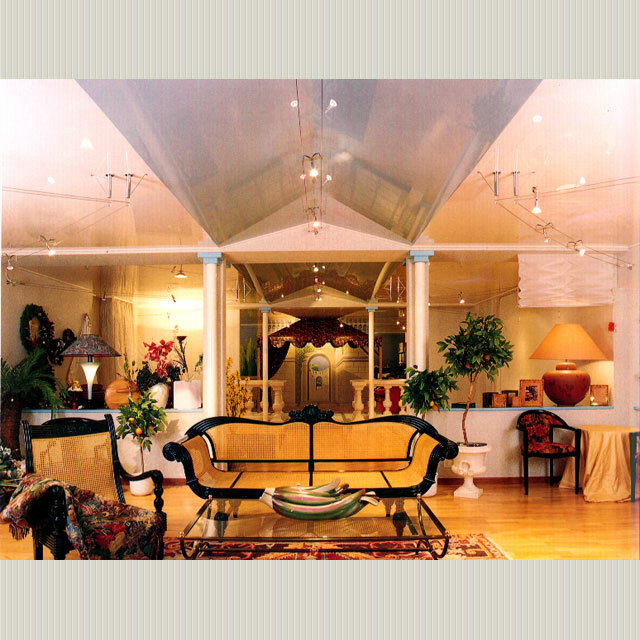 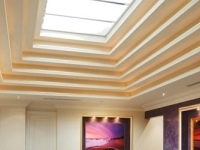 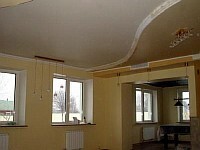 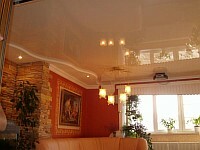 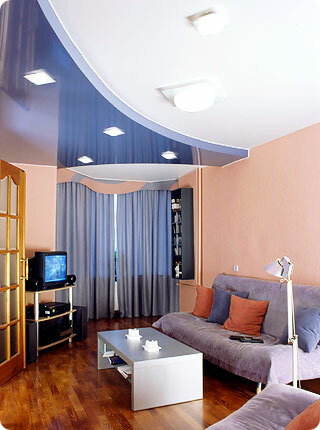 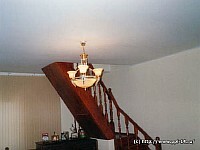 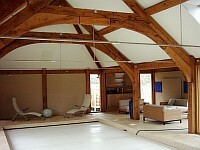 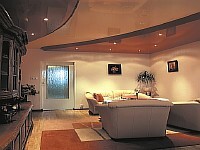 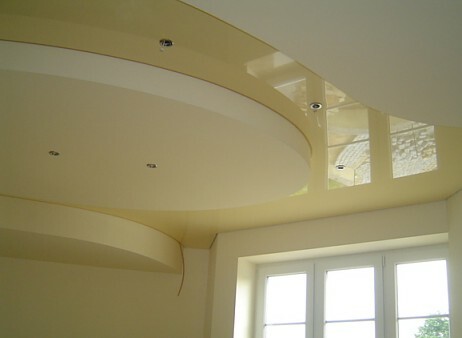 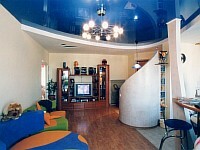 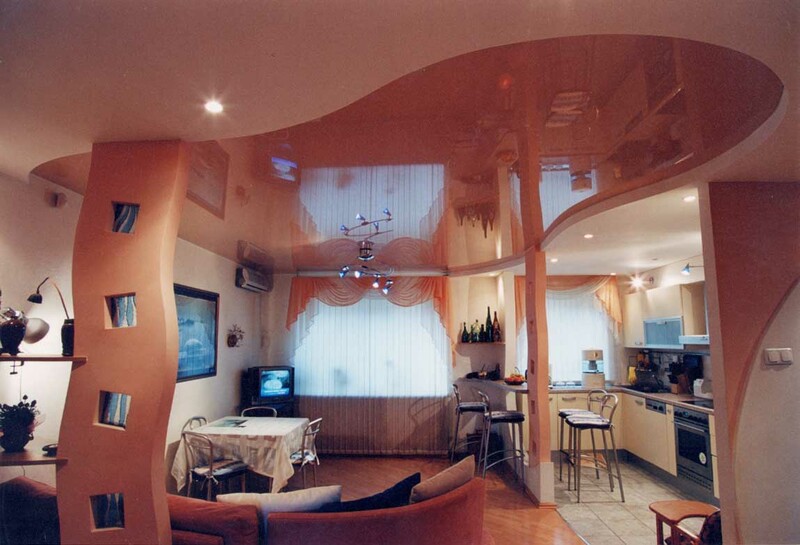 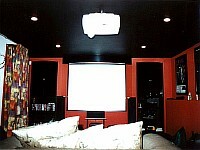 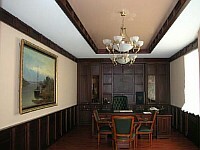 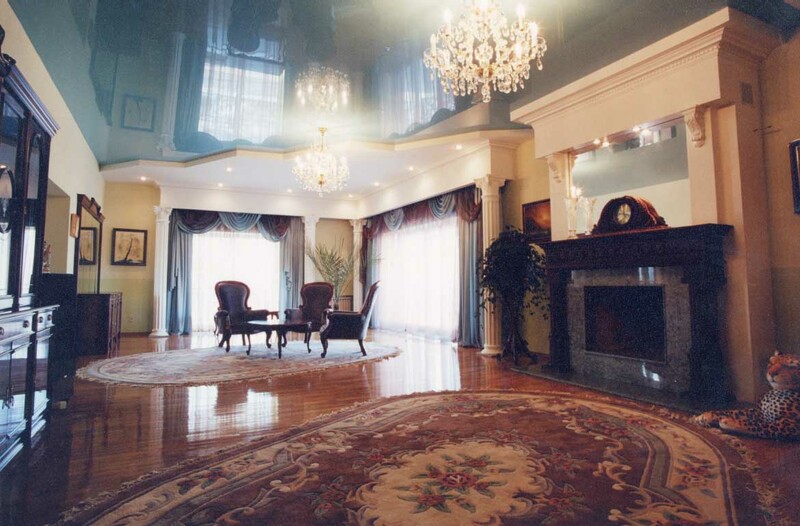 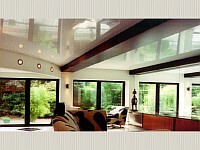 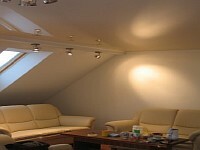 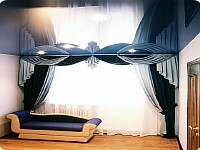 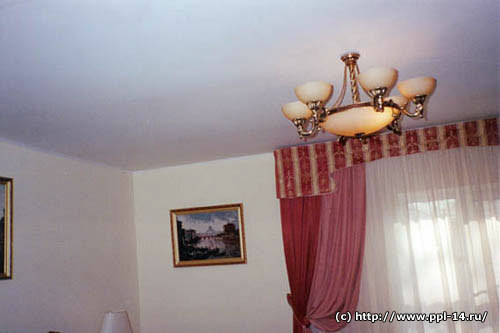 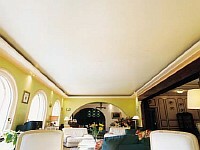 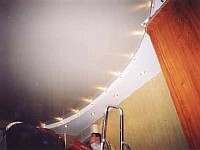 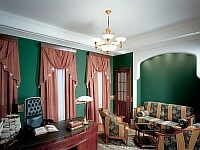 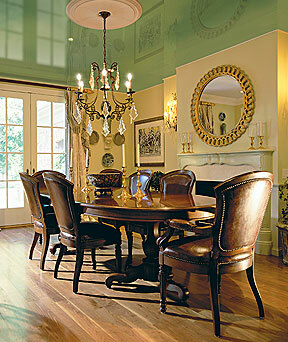 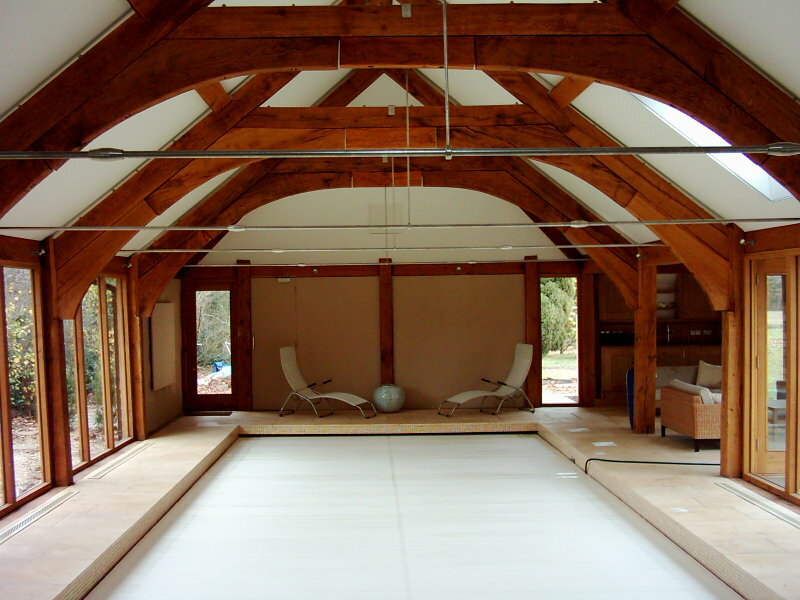 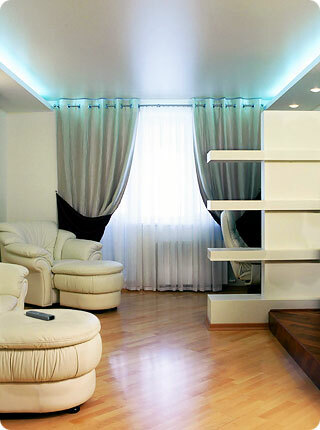 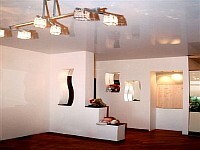 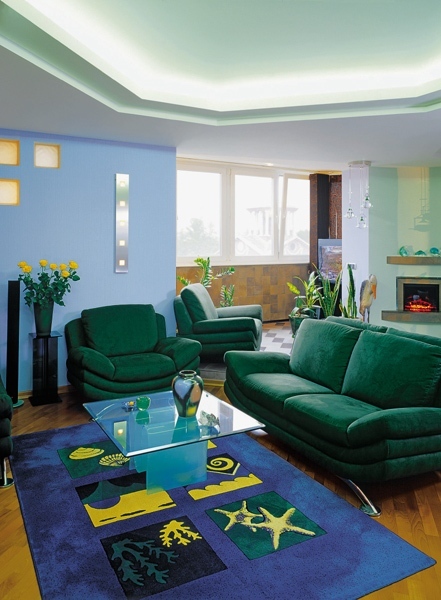 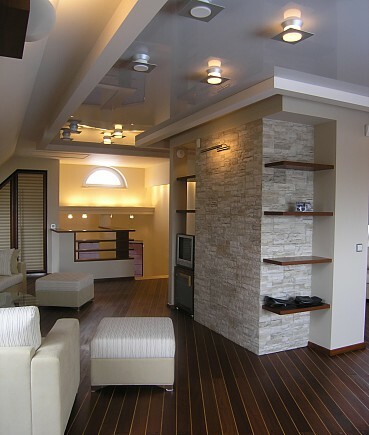 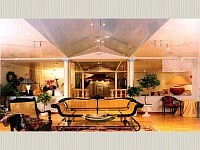 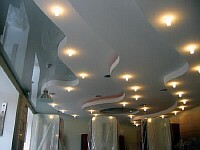 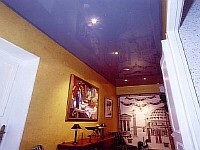 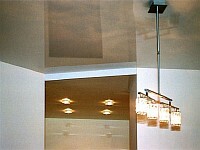 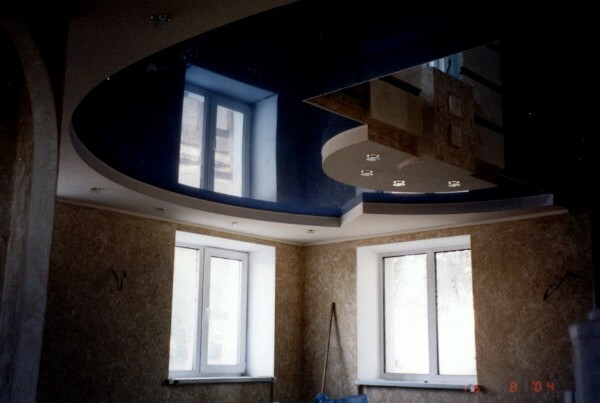 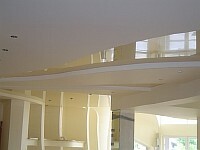 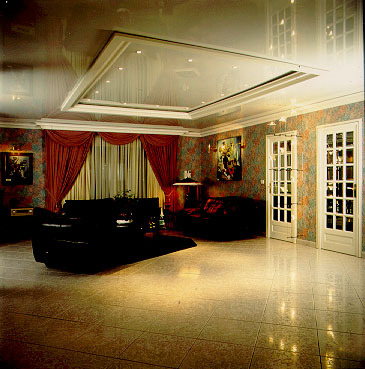 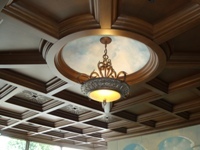 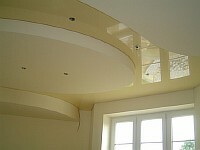 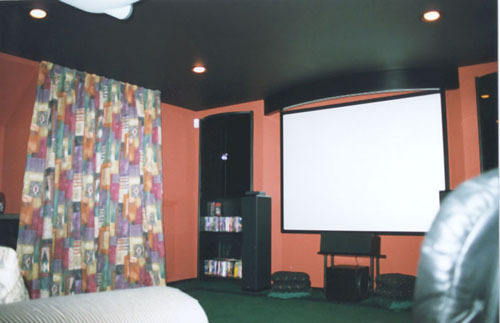 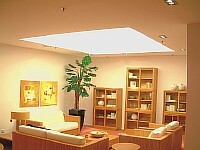 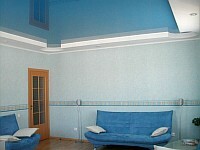 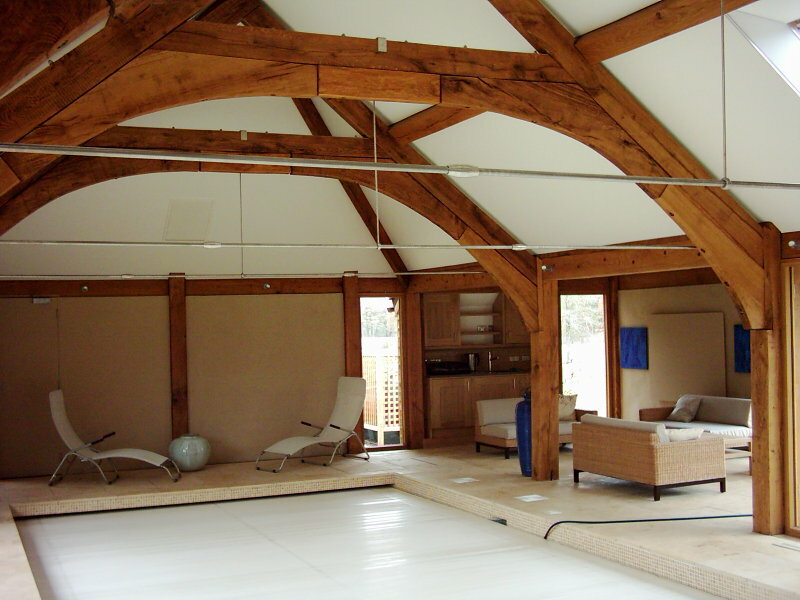 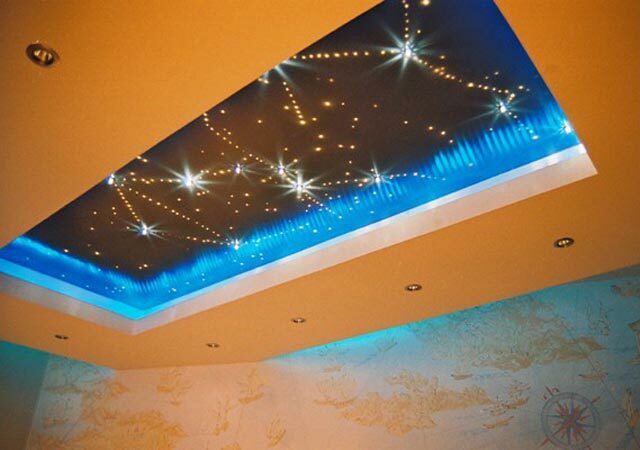 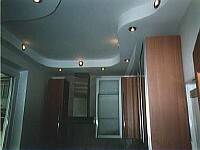 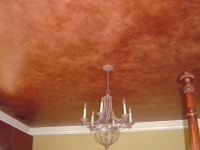 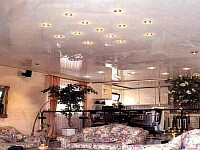 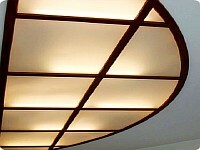 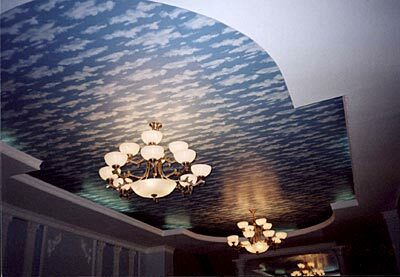 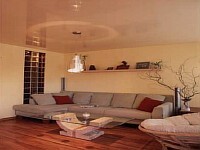 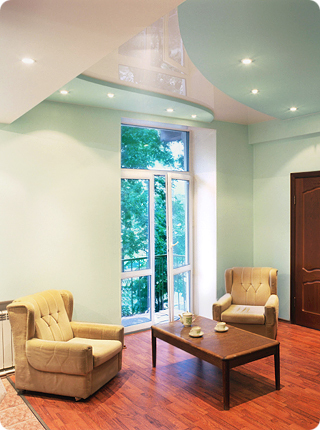 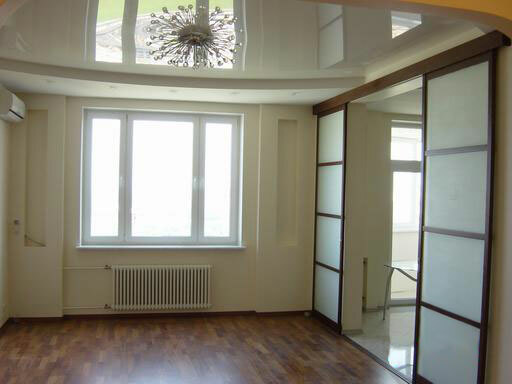 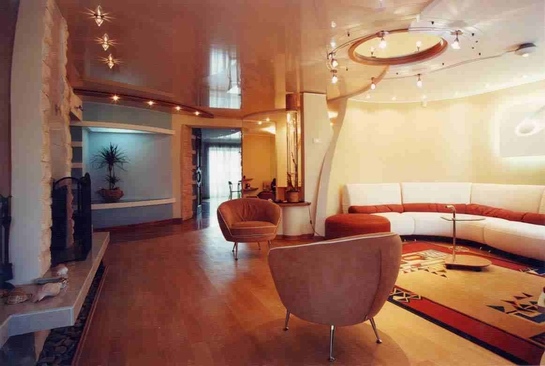 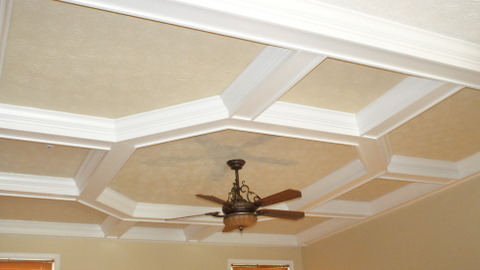 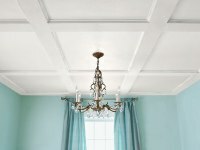 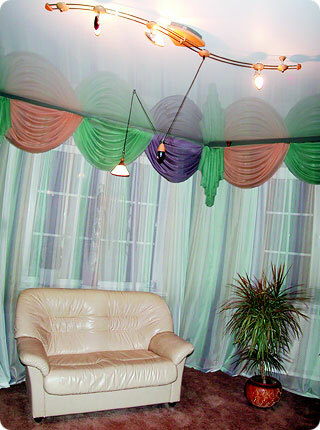 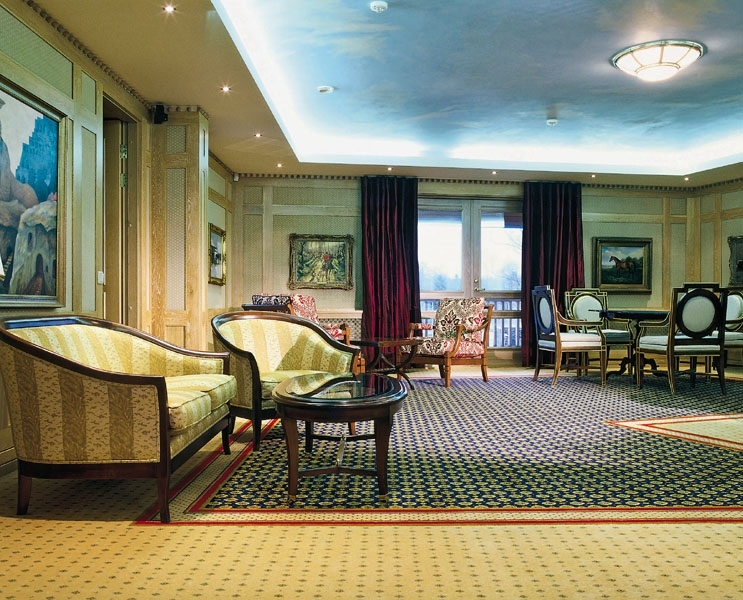 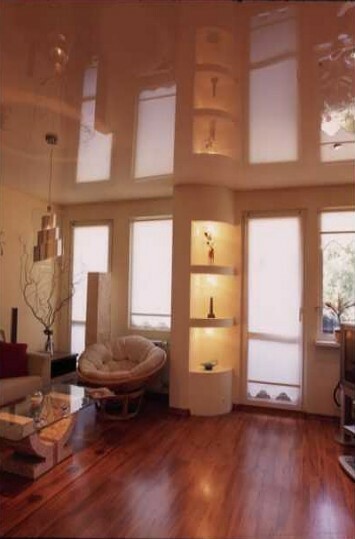 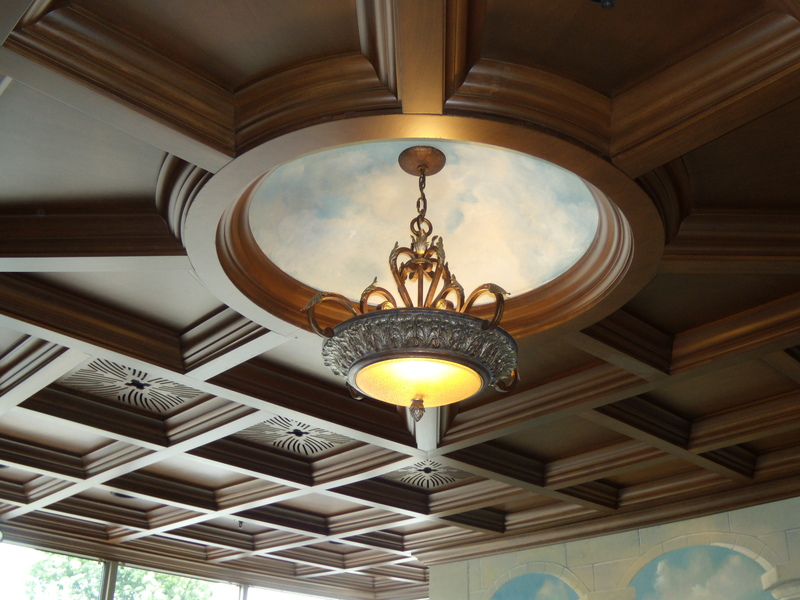 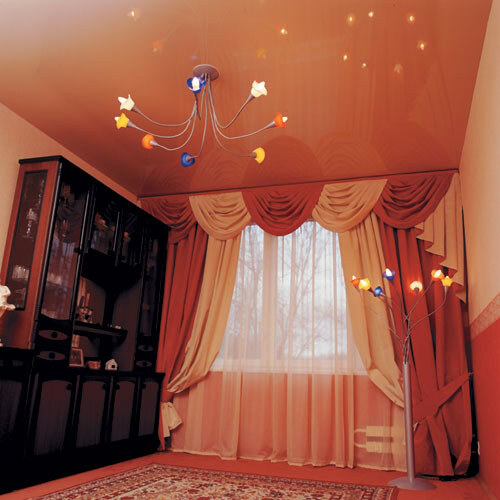 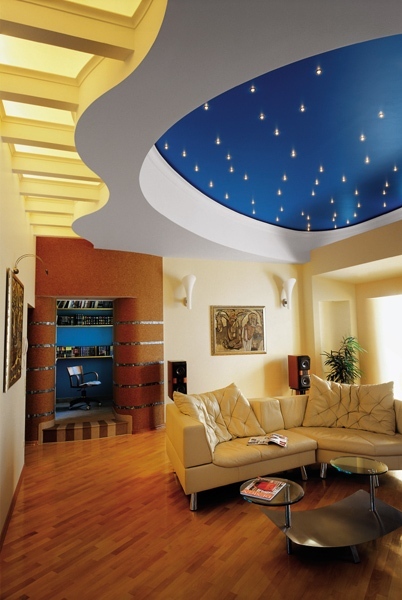 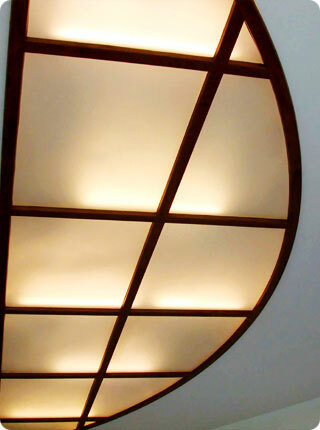 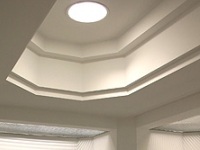 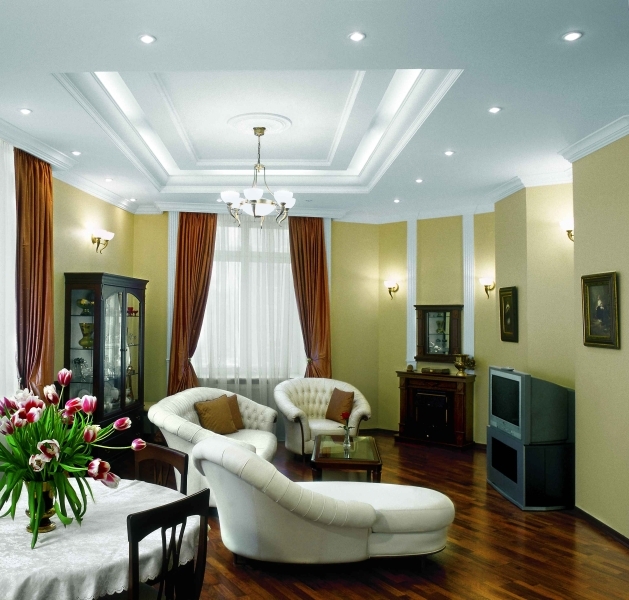 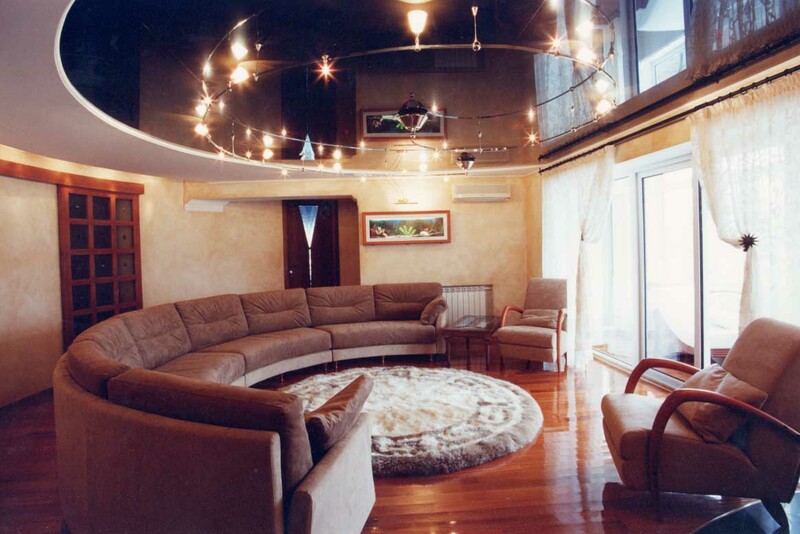 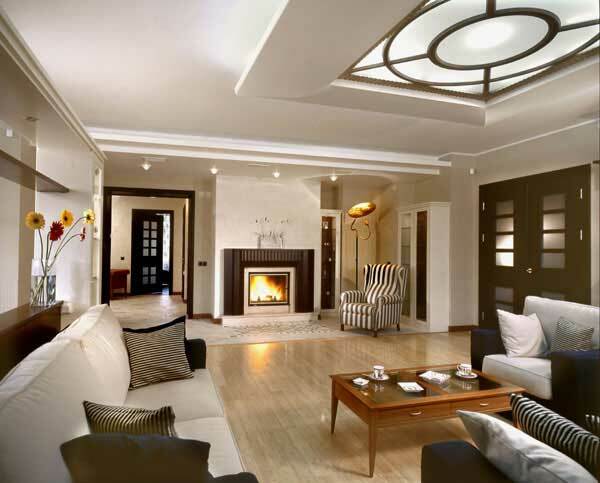 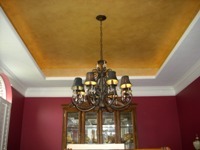 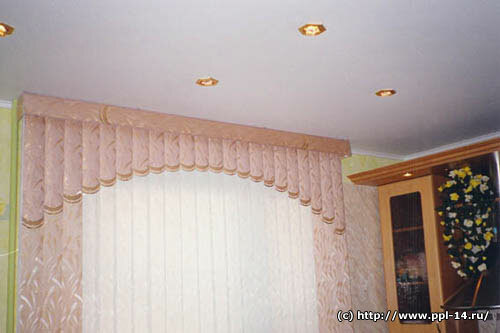 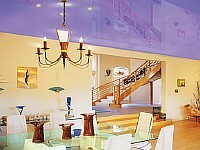 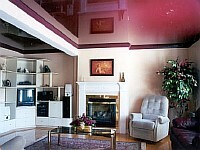 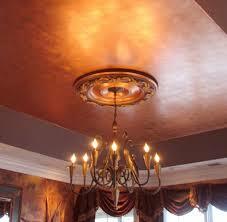 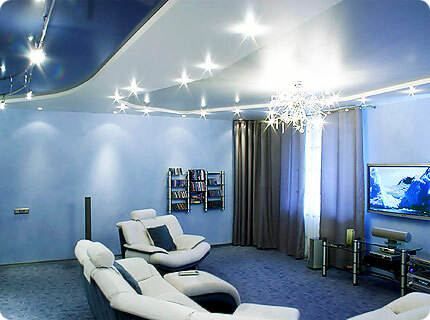 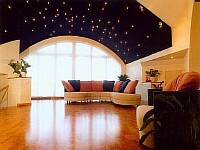 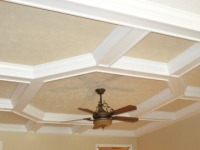 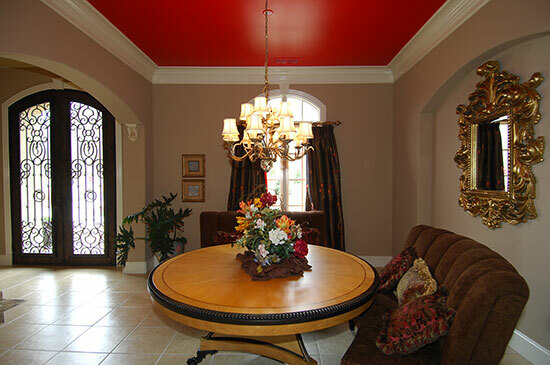 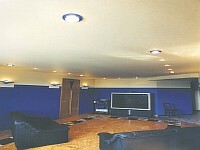 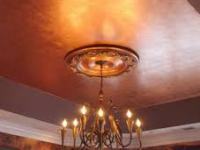 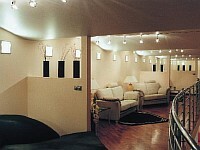 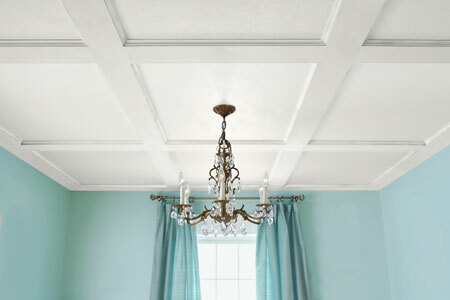 Choose the right color and shape of the stretch ceiling and rest in your living room is provided to you. 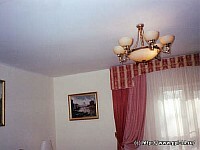 Any advice you can get from our experts. Happy viewing.